Autumn is my favorite season!! 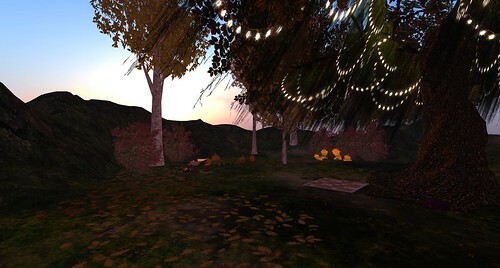 I’m transforming part of my beach sim into something more green so I can rez all my favorite Autumn decorations. The picture above was after I had spent over an hour flattening my sim and terraforming something hilly and green to show more of the grass texture. 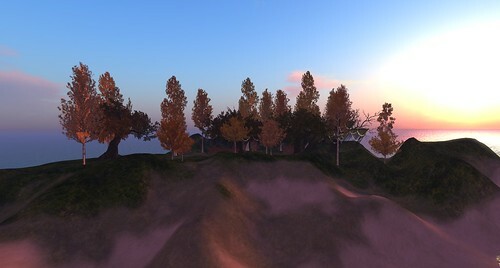 The rest came together pretty quickly, once I had the basic trees planted. 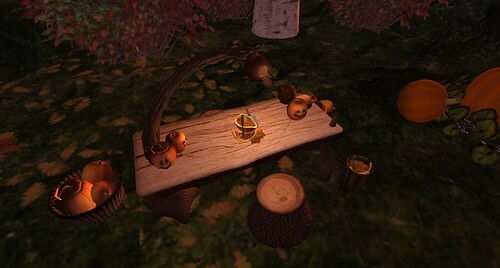 My favorite decor is this Pumpkin Carving set from Sway’s. 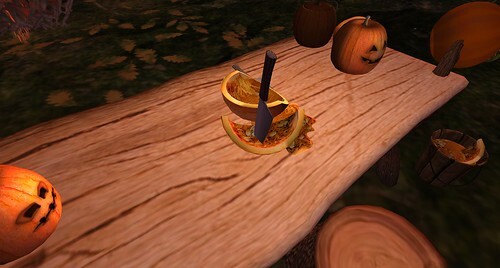 The set includes a Pumpkin carving table, 2 stumps (each with 4 poses), 3 pumpkin decorations, 2 knives, sliced pumpkin and bucket, and basket with pumpkins (gives pumpkins and knives by touch). 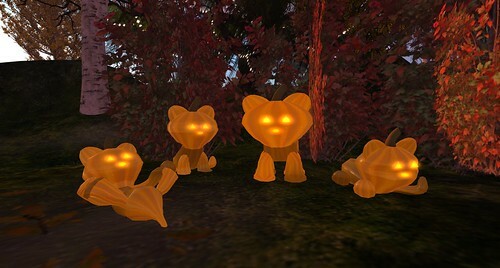 I also have this adorable Cat-O-Lanterns set from Callie Cline. These 4 cats gives off the perfect glow and they’re perfect for decorating outdoors. I’m pretty sure I have a ton of Autumn/Halloween decors that I don’t remember having, so I’ll be rezzing more later! This is a pretty cozy spot and I’m really happy with it so far. 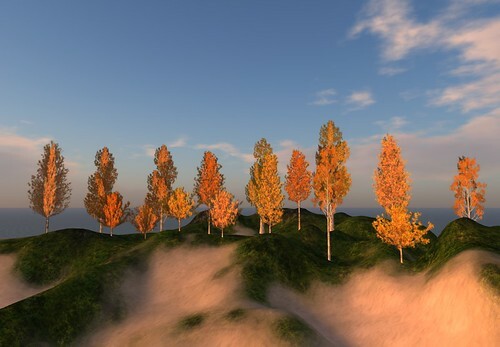 What are some of your favorite places for Autumn decorations?